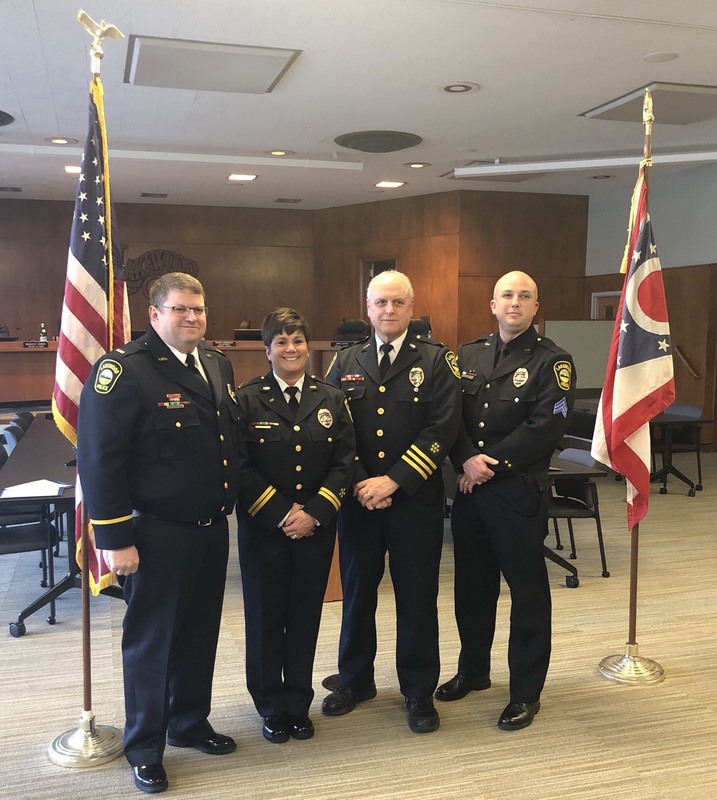 On Friday, December 7th, 2018, Mayor Michael Summers promoted Lieutenant Leslie Wilkins to Captain of the Traffic and Patrol Division of the Lakewood Police Department. Wilkins, a 34-year veteran of the Lakewood Police Department, will be the first Female Captain in the history of the Department. 88. Since that time, her career with LPD has included working as a Field Training Officer, a DARE Officer in the Lakewood City Schools, 10 years in the Detective Bureau, a promotion to Sergeant in 2006 and another promotion to Lieutenant in 2011. She also worked briefly with the Internet Crimes Against Children Taskforce with the FBI. As Captain of the Traffic and Patrol Division, Wilkins will direct programs related to law enforcement, crime prevention, juvenile justice, and traffic enforcement. She will be responsible for the supervision of nearly 60 officers, including the DARE officers and the Neighborhood Patrol Officers, and have greater opportunities to interact with community members and coordinate special event planning. Captain Wilkins is married to Bruce Wilkins, a retired Sergeant from the City of Lakewood Police Department. They have three children, Brent, Kelsey, and Jack. Following in his parent’s footsteps, Jack is currently in the police academy at Cuyahoga Community College. Captain Wilkins feels especially grateful because she has had the opportunity to serve the city where she was born and raised and to follow in the footsteps of her father, Warren G. Day, who served with the Lakewood Fire Department for 38 years.